We are pleased to announce the addition a new technology to our office that will greatly enhance the accuracy and customization of Progressive (graduated) lenses or bifocals. The new equipment uses camera systems to take very precise pictures and digital measurements needed to fabricate the newest generation of progressive lenses which are called Free Form lenses or sometimes as HD lenses. These lenses have much less distortion and offer a more natural vision as compared to older generation lenses. 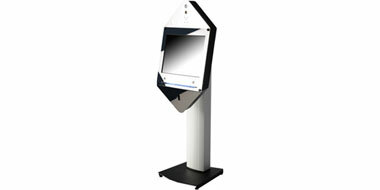 We are one of the first independent offices to obtain this technology in Quebec.